Sadly, the technology is not sufficiently advanced to deliver this fully immersive sensation but the journey is still an engaging one. Lunatick (2019) as the piece is rather toe-curlingly called, kicks off with a wander around a tiny Pacific Island before you are propelled up through the clouds and into space, where it is possible to gaze at floating space stations, constellations and supernovas. 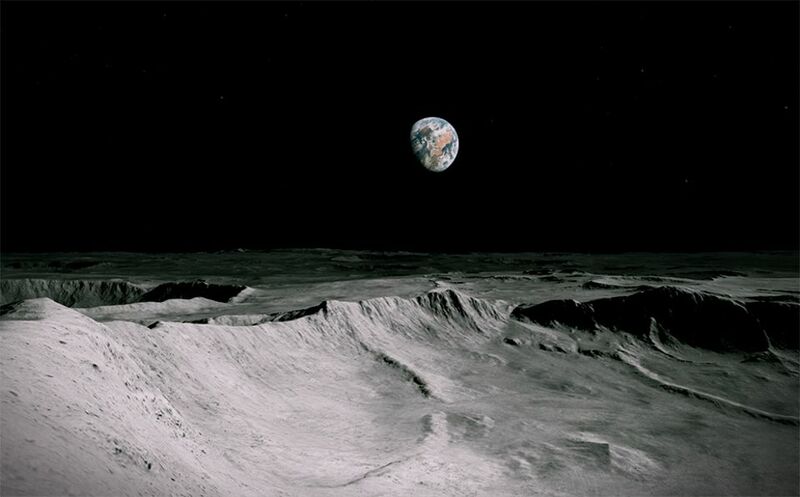 Then you land among the moon’s craters which have been painstakingly recreated using data collected by NASA. After some vertigo-inducing swooping and soaring, time’s up and you hurtle directly into the sun—to be, as Gormley puts it, “vaporised by that great nuclear generator in the middle of our solar system.” This is of course is how the earth will ultimately end if we don’t destroy it first.